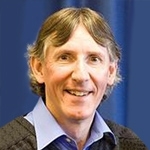 Dr. Martin Ward Platt is a consultant paediatrician working at the Royal Victoria Infirmary at Newcastle upon Tyne, Honorary Clinical Reader in neonatal and paediatric medicine at Newcastle University, and Clinical Director of the northern Regional Maternity Survey Office. Qualifying in 1979 from Bristol University, Martin moved to the North East of England where he finished his paediatric training. He completed an MD before specialising in neonatal medicine, and became a consultant in 1990.
have conducted two randomised controlled trial of side-car cribs in relation to infant care and breast feeding, and ethnographic studies of infant care practices in multi-racial communities around Bradford. The idea of glucose as the sole metabolic fuel for the neonatal brain is still over-emphasised, in spite of long standing animal and human research that shows the relevance of other metabolic fuels such as lactate and ketones. Furthermore, innovative approaches to treating hypoglycaemia with buccal glucose have shown promise in well conducted randomised trials. In view of the wide availability of simultaneous near-patient blood glucose and lactate analysis, it is now possible to move away from simplistic assessments of blood glucose alone in day to day clinical management. However the clinical assessment of neurological status remains central to the evaluation of babies who are at increased risk of fuel deficiency, and ultimately determines which babies should be subjected to any measurements. There is increasing evidence that the cultural context of infant care is influential in both creating and mitigating risks relating to sudden unexpected death in infancy; furthermore it is known that some ethnic minority communities in England show far lower risks for SUDI than the background population. Recent ethnographic work in multicultural communities in the north of England has demonstrated that attitudes and practices among the south asian immigrant community diverge from the stereotypical beliefs of the (mainly white british) primary care health professionals. 'Health' messages designed around the culture and behaviour of the white british community have no resonance with the experiences and expertise of the south asian community, and have the paradoxical potential to increase the risk to ethnic minority infants if it were not for the fact that they are largely disregarded by the minority community.